We all do it. We all have the best of intentions but end up procrastinating our important tasks. Sometimes we put them off until it’s too late. If you’re here, reading this, then you have the “intentions” of tracking your child custody somehow. If you haven’t even considered doing so, then now is the time to pay attention. 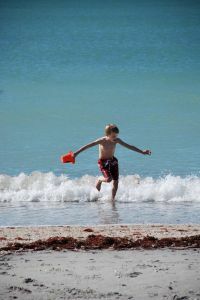 Tracking your parenting times is something that every parent who is ether separated or divorced should do. Here are some of the ways you can track your parenting times. This is how I started. One day I decided to start tracking time with my children and the easiest thing to do was to keep records in a handwritten notebook. Well, that quickly became difficult because I would either forget to update the paper or I would lose the notebook all together. Another pitfall of this method was that it could be error prone when trying to calculate custody times and overnights. The next step in tracking my parenting time was by using an excel spreadsheet. Now, this worked fine at first, but quickly became unwieldy. Trying to track, record and calculate ever day was very tedious and also trying to have a central spreadsheet was very difficult. This was the next step in tracking my parenting time. With the rise of smartphones and online applications, tracking my parenting times in the cloud was the best choice I could have made. I have access to the online custody calendar at all times. Also using an online custody calendar reduces the risk of error. You are able to visually see when and where your kids have been as well as plan out your parenting times in the future. An online custody calendar makes the process of recording all of your parenting times a breeze. Also, the report generation is incredibly important. You are able to print detailed reports which can be used to prove parenting times, overnights and produce accurate number for a child support worksheet (if needed). With all of that said, it doesn’t really matter how you decide to track your parenting times. Whether you use pen and paper or you use an online custody calendar, the important thing is to actually do it. Qustody.com can make that process so much easier. With our online custody calendar and custody tool set we can make tracking your parenting times a breeze and actually something that you will stick with through your separation, divorce and beyond. 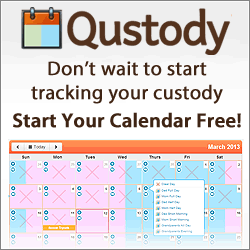 If you want more information about starting your online custody calendar, please feel free to visit us at Qustody.com and give it a try yourself!